Was wondering if anyone else thinks it would be a good idea to make a new pinned topic, just for arena strategies and discussions? I know Mai made a similar thread, but maybe we can keep this just for arena, and keep it a bit more active. I'll start off by asking for input. Trying to consider the best parts to put on this, but it seems like stacking armor would be the most useful to enhance the effectiveness of the AT Field, and to add to usefulness of Ex-Ability; Guard or evasion would come in second place, and attack as third. 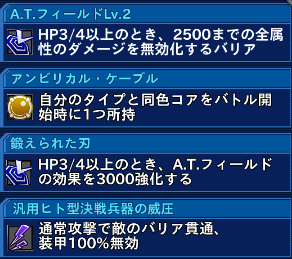 I rank attack as third, as once unit is below 75% HP and loses its AT Field, it's very susceptible to oncoming damage. At least below 75%, and especially below 50% HP, armor would still help keep the unit on the field for longer. Ideally, I'd like to pair this unit with a repair unit for maximum annoyance. 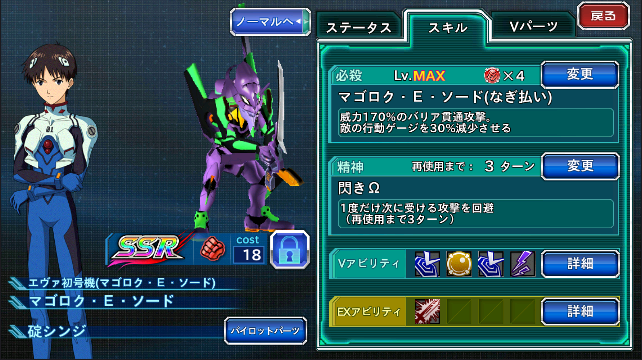 Of course it'll never be a Kisaragi which has Barrier + high Guard, but it still has its merits. If anyone has any feedback or suggestions, would love to hear them. Attacker Lancelot C.C. increases armor to the whole team and also heals, faced lots of teams with her and she made winning very hard. She's becoming popular in the Arena from what I can see. I really want to know how the game calculates damage for hissatsu or skill that ignores 100% defense like Eureka Nirvash Hissatsu. Using it around but I hardly see any difference. (03-19-2017, 02:32 AM)Hokuto73 Wrote: Attacker Lancelot C.C. increases armor to the whole team and also heals, faced lots of teams with her and she made winning very hard. She's becoming popular in the Arena from what I can see. Definitely a good choice, thanks. I got that unit on my old account recently; didn't realize how good it was until you mentioned it. I just need to hope my new account can get one too. It's a good utility unit. She helped thebigb clear CQ 65. She needs to be lvl 70 for her last abilty and she has very low stats. Fully green cubing her and giving her an half barrier half life v-parts set is a must. "My C.C its level 80 now!" BTW what's your rank for this week? I guess you're asking Mai, but I'll just add that I usually hover in the 1050 range. I usually try to keep lower rank so it makes farming coins easier, the night before or morning of rank reset I finally swap my best units in and push with with an EN med. My barrier its 1400 points, i can never go over it, tomorrow i will end in 1200 or so, i don't have many optimal arena units and even use some of the event characters to complete my teams. Hyperia: I do something similar but I wanted to switch team a bit earlier this week. Mai: That's already pretty good! I think I reached 1400 only once.